The first cross-country road trip took two men and a pitbull 63 days. Jackson’s Winton is now in the National Museum of American History. In 1903, Horatio Nelson Jackson, a doctor from Vermont, was in San Francisco with his wife when he made a bet. It was for $50 and made on the spur of the moment, over drinks at the San Francisco University Club. It was about a car. More precisely, it was about what a car might be capable of. At the time, automobiles were still a novelty. They had reached about the same technological stage that self-driving cars have today: A few rich people owned them, and some future-looking folks thought these machines would be the future of transportation. In 1903, though, cars were mostly driven in cities, where the roads were paved, and no car had crossed the entire country. That was the wager: Jackson would have 90 days, in a car of his choosing, to get from San Francisco to New York. The American road trip seems so iconic that it’s surprising to think it once needed to be invented. American explorers have always been eager to cross the country: Lewis and Clark made the journey, pioneers and Gold Rush dreamers slowly reached the West. By the end of the 19th century, a train could cross the country in just three and a half days. But the idea of crossing the country in a car, on the open (if unpaved) road? That was new. Jackson would be reversing the trajectory of Americans past and would race to get from the West back East. Immediately, he set about preparing. 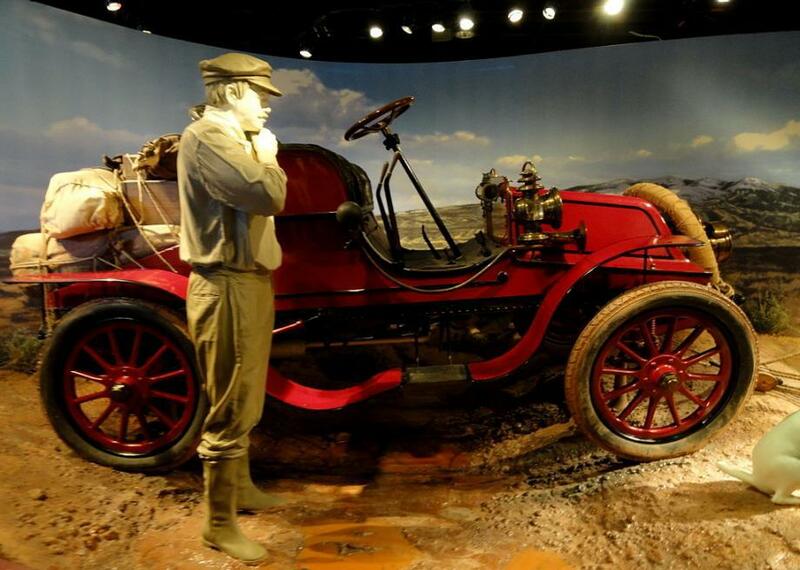 He hired Sewall Crocker, a bicycle racer and mechanic, as his second in command, and, on Crocker’s recommendation, bought a used Winton, one of the earliest brands of cars in the U.S. Its rear wheels were worn, and Jackson paid more for it than it was worth. He and Crocker took out the backseat, loaded it with tools, extra gas, and provisions, named it the Vermont, and set out from San Francisco on May 23, 1903. They did not immediately head east, though. Jackson was not the first man to try to cross America in the car, and a previous attempt had ended in the foreboding desert east of California. Instead, Jackson drove the Winton north, through California and into Oregon, before turning right, into Idaho, where he added a third party to the car—a pitbull named Bud, who was bought for $15 and outfitted with goggles to keep the road dust out of his eyes. 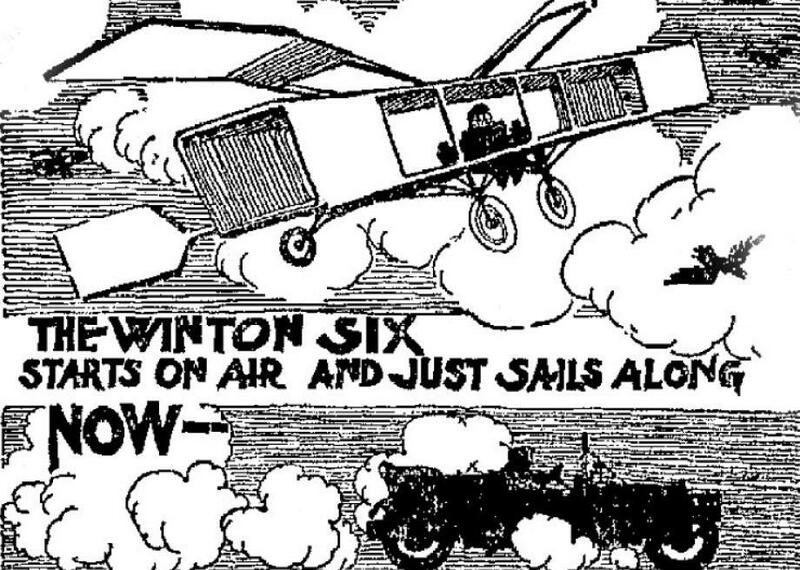 A 1910 ad for a Winton car. Outside of cities, there were few paved roads to guide Jackson and Crocker. They had a few maps that had been drafted by cyclists, whose Good Roads movement was an early force for infrastructure improvement in rural areas. Once headed east, they followed some roads that paralleled train tracks. In Wyoming, though, they were basically just driving across open prairie. They often asked locals for directions, and sometimes they’d be given faulty ones. Some of their guides even misdirected the car on purpose, sending it dozens of miles out of their way so that friends or relatives could see it. When the car only averaged 71 miles a day, these detours ate up half, and sometimes whole, days. Bad directions weren’t their only challenge. Jackson and Crocker blew tires, lost equipment, and ran out of gas; their first big mechanical breakdown happened a month into the trip. They had to contact the Winton company for parts and wait for them to arrive by train. Their plight clued the company into the bet, though, and soon other car manufacturers wanted to show that their machines, too, could make it cross-country. Shortly thereafter a Packard and an Oldsmobile sallied forth from the West coast, headed east. Jackson was now racing against time and two other drivers. On July 12, the two men and the dog arrived in Nebraska, where paved roads become more common. Suddenly, they could manage 250 miles in one day. They sped through Iowa, Illinois (with a celebratory stop in Chicago), Indiana, and Ohio, to New York state, where, after one last breakdown outside of Buffalo (where they had their only accident), the trio made it to New York City on July 26. It was 63-and-a-half days since they had started their journey, the first cross-country road trip a car had ever made. Jackson never collected on his $50 wager. It would have hardly offset his expenses, which he claimed totaled $8,000. A road trip was neither the fastest nor the cheapest way to get across the country. But Jackson had done it, and it wouldn’t be long before many more would follow. Manhattan’s General Worth monument is one of only two in the borough that serve as actual mausoleums. One man’s prolific, decadelong quest to turn trash into artistic treasure. This North Carolina grave is the final resting place of the world’s most famous conjoined twins, Chang and Eng Bunker.